Radio astronomical observations can be carried out during day time and even in poor weather conditions. This makes them ideal for teaching astronomy interactively in the classroom. In a short time, it is possible to detect the radio emission from neutral hydrogen gas in our own Galaxy, the Milky Way, and to map the distribution of this gas in the spiral arms. 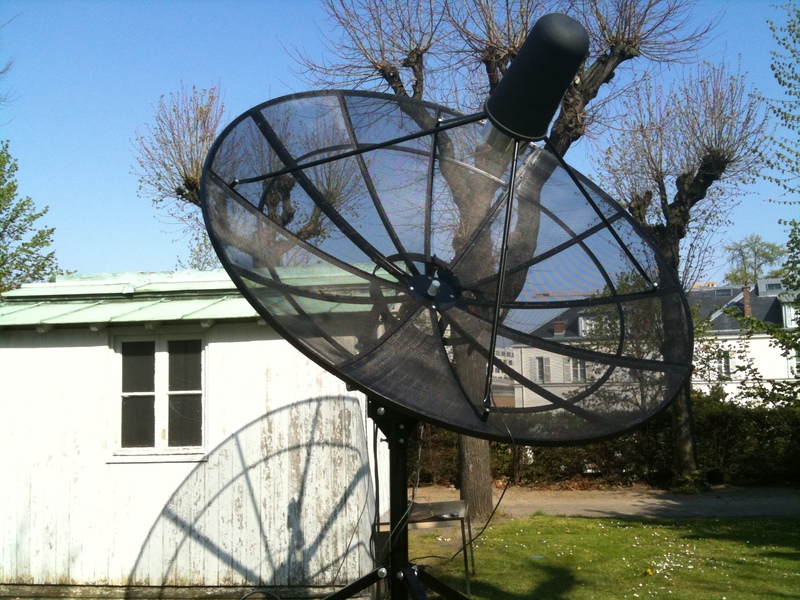 EU-HOU and other european projects have developed radio telescopes which are available to pilot schools for real time observations via the Internet. In fall 2007, at the Bordeaux Observatory (now LAB/OASU), we have started the renovation of the Würzburg radio-telescope in order to convert it into an outreach and learning facility. The radio-telescope is available for teachers (any levels), for students, and for non-professional astronomers through a web interface or on site. Salsa Onsala is a 2.3 m radio telescope operating at a wavelength of 21 cm. At this wavelength, one can observe the spiral arms of the Milky Way (our galaxy). The radio telescope can be operated remotely over the internet. To detect cosmic signals while watching the telescope move in the webcam is a great thrill for both pupils and teachers. Observations can be done during day-time as well as night-time, and even in bad weather. Onsala Space Observatory is the Swedish National Facility for Radio Astronomy. The observatory operates the two radio telescopes in Onsala, 45 km south of Göteborg, Sweden, in the mm and cm wavelength regions, and is one of the partners in the ALMA (giant) radio-telescope in Chile. At anytime you can watch the radio-telescope using the webcam (which is in the nearby control building). The EC-funded project RadioNet is also providing EU-HOU, through the University of Manchester's Jodrell Bank Observatory (UK), a 7-m radio telescope for use by schools throughout Europe for simple real-time observing projects. The telescope can be accessed through the JBiO Homepage.